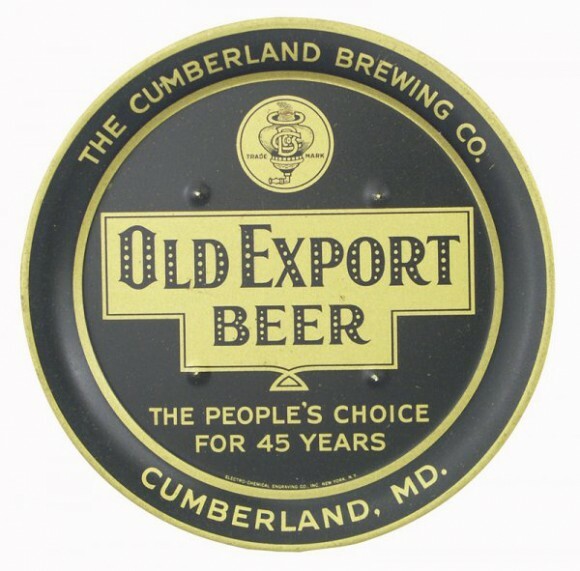 Serving Tray for Old Export Beer from The Cumberland Brewing Company out of Cumberland, MD. The text along the bottom states “The People’s Choice For 45 Years.” This 12″ round tray was produced around 1935 by the Electro-Chemical Engraving Co. of New York, NY. This is a pretty rare tray to find so it has pretty good value even though the design is relatively simple and it is post-prohibition.